LeT encounter: Two Lashkar-e-Taiba militants, including the terror outfit’s divisional commander Shakoor Ahmad Dar, were killed in an encounter with security forces, while another surrendered, in Kulgam district of south Kashmir on Sunday. Dar was one of the 21 militants on the hit list of the security forces that has been prepared as part of a fresh military offensive aimed at destroying the leadership and organizing capabilities of terror outfits all across Kashmir. Delhi’s Chipko: About 1500 residents of Delhi took to the streets in protest of a recent order to fell at least 14,000 trees in the national capital as part of a South Delhi redevelopment project. 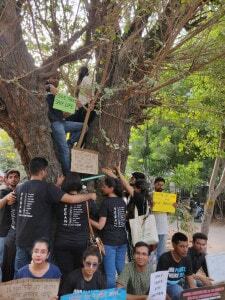 Members of various environmental organisations, activists and residents took part in what was Delhi’s own Chipko movement, hugging trees and chanting slogans against the centre’s decision to fell the trees. The project, aimed at making room for central government accommodations, has caused a rift between Aam Aadmi Party and the centre. On Saturday, AAP MLAs slammed the centre for allowing such a decision to be passed. Kidnapped witness: In a twist to the Lucknow passport case wherein an interfaith couple was allegedly humiliated and shamed by an officer before he rejected their application, an ‘eyewitness’ in the case claimed that he was kidnapped from near his residence but managed to escape. 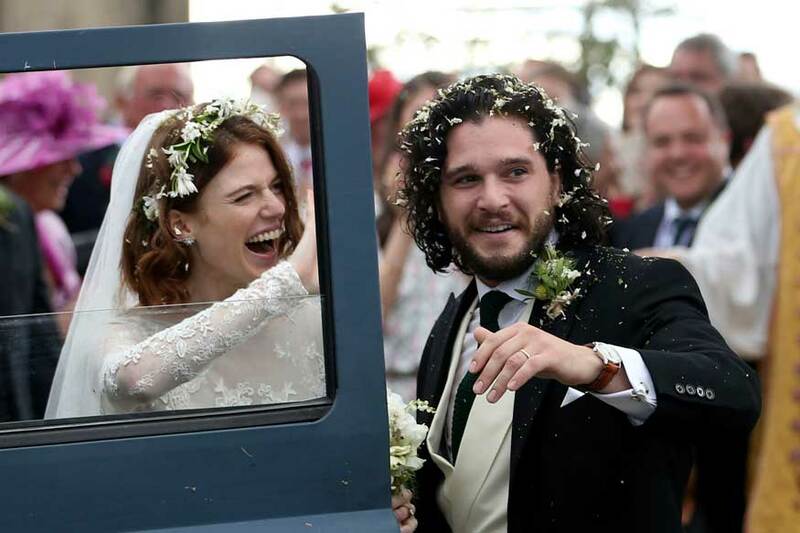 The eyewitness dodged questions related to the kidnapping attempt but claimed that it came just before he was planning to hold a press conference on the passport issue. Swaraj trolled: Meanwhile, External Affairs Minister Sushma Swaraj, who returned to India on Saturday following her week-long visit to four European nations, shared how she was being targeted by trolls since she ordered the transfer of the Lucknow passport officer. BJP ‘vindicated’: A 19-year-old youth, who was one of the six people injured in police firing in Mandsaur last year during the farmers’ unrest, was arrested on Sunday on charges of smuggling poppy husk. BJP leader Rajnish Agrawal claimed that the arrest proves the party’s earlier stance that anti-social elements had hijacked the farmers’ agitation, and this led to the police firing. Leading by example: A Telugu Desam Party MLA decided to sleep in the ‘Hindu Smasana Vatika’ crematorium at Palakole in West Godavari district on Friday night to register his protest against the inordinate delay in the modernisation of a crematorium. The move was also intended to instil confidence among construction workers who feared ‘spirits’. Frogs tie the knot: BJP leader and Madhya Pradesh minister of state for woman and child development Lalita Yadav recently drew flak from the Opposition for allegedly organising the wedding of two frogs at a temple in Chhattarpur to appease rain gods. Hundreds of people gathered at the temple premises to see the unique wedding, which was followed by a feast. However, the Opposition was not pleased and alleged that the minister’s act would encourage superstition. Parting words: With the judiciary and the government crossing swords over appointment of Uttarakhand Chief Justice KM Joseph in the Supreme Court, Justice J Chelameswar said that he feels sorry a “good judge” has not been cleared for elevation in spite of “best efforts”. On the eve of his retirement from the Supreme Court, Justice Chelameswar called it unfortunate that the high court chief justice has not been elevated despite the Collegium’s recommendation in January this year. Officer celebrated: An IAS officer in Kerala shared the mid-day meal served to students at a government school in Neerkunnam during a surprise visit to assess the quality of food. The officer was praised on social media for his dedication. No to plastic: As the Maharashtra government enforced a ban on a variety of plastic items from Saturday, Environment Minister Ramdas Kadam said errant manufacturers will face strong action, but common people and small traders will not be harassed. 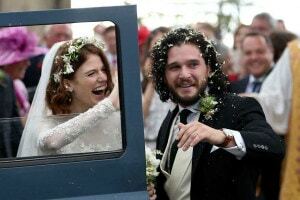 Reel to real: Former “Game of Thrones” co-stars Kit Harington and girlfriend Rose Leslie got married on Saturday with a church service and a celebration at the bride’s ancestral castle in Scotland. Children reunited: The US Homeland Security Department announced on Saturday that the government has reunited 522 children separated from adults as part of a “Zero Tolerance” initiative and plans to reunite another 16 children over the next 24 hours. SUNDAY FEATURE: India’s mini-Afghan colony is a mix – a coming together of cultures to create a blend that is both familiar and foreign. Raka Mukherjee explores Bollywood and Cricket and the mystery hehind the ‘Indian-ness’ of Afghans in Delhi. Book review: “Kannur, where the author, the son of a leading Communist politician, was born and grew up, is an intimate portrait of a place and its politics. A cult of killing and reprisal seems deeply entrenched in a place that fully deserves the sobriquet of “India’s Sicily”.” Read Shashi Tharoor’s review of senior journalist Ullekh NP’s new book ‘Kannur’. A 35-year-old Delhi woman holidaying with her family plunged 500 feet to her death two days ago after slipping off a cliff while taking a selfie with her husband. Earlier this week, another man died after falling off the Gokak waterfall in Karnataka while trying to take a selfie. A month and a half ago, a man tried to take a selfie with a wounded bear and was mauled to death in Nabarangpur, Odisha. These are not isolated instances of death by selfie in the last quarter alone. Rajen Garabadu explores the reasons why selfie deaths are on the rise. Most of PDP’s core voter base is spread across villages like Fatehpora in south Kashmir’s Anantnag district. And most of these villages are visibly pleased, some are even celebrating the end of the government headed by their very own Mehbooba. There is undeniable emotion of relief across Anantnag; as if the whole district just woke up from a bad dream. Bakarwals travel six hundred kilometres of through impossibly treacherous terrain – from Jammy to Laddakh via Kashmir, and back – every year. But this year after the gangrape & murder of 8 year old girl from the community, in Kathua, life has changed for them. News18 travels 160 kilometres with the Bakarwals to understand their plight.